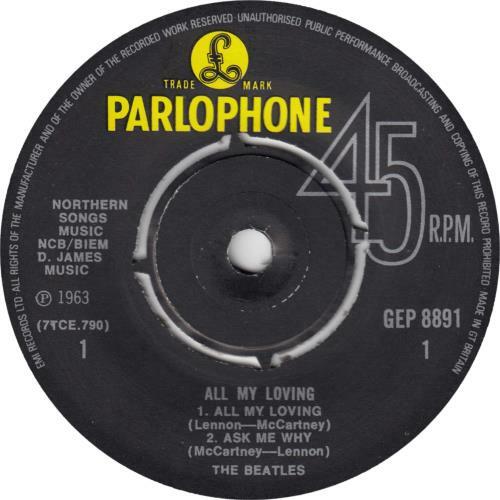 THE BEATLES All My Loving (1978 UK 4-track 7" mono vinyl EP with intact four prong centre and 'EMI Records' label perimeter text, also including Ask Me Why, Money & P.S. 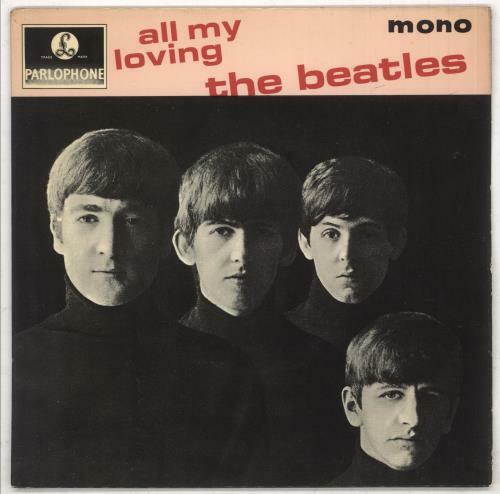 I Love You, flipback picture sleeve. 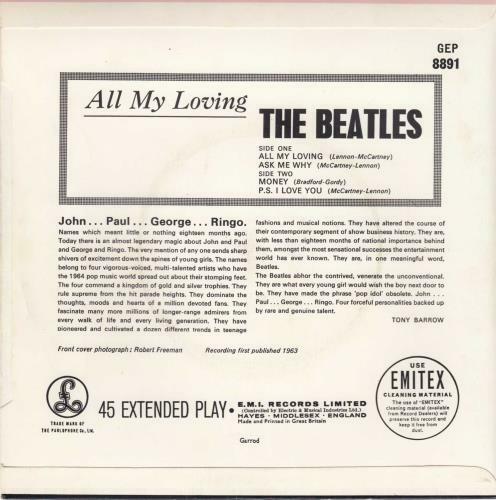 The sleeve displays some wear and the vinyl has only a few light signs of play, overall an excellent example GEP8891).